Stunning,Stylish and Meticulously Maintained 5-Bedroom, 3-Bath, 2-Story Home with 3-Car Garage on over half an acre! Charming front porch. Beautiful leaded glass front door. Main level includes Formal Dining, Huge Living Room, Bedroom, Full Bath, Laundry Room and Incredible Eat-in Kitchen showcasing upgraded cabinetry, granite counters, stainless steel appliances, built-in oven, center island with prep sink & breakfast bar, pantry closet and kitchen window view of spacious backyard. 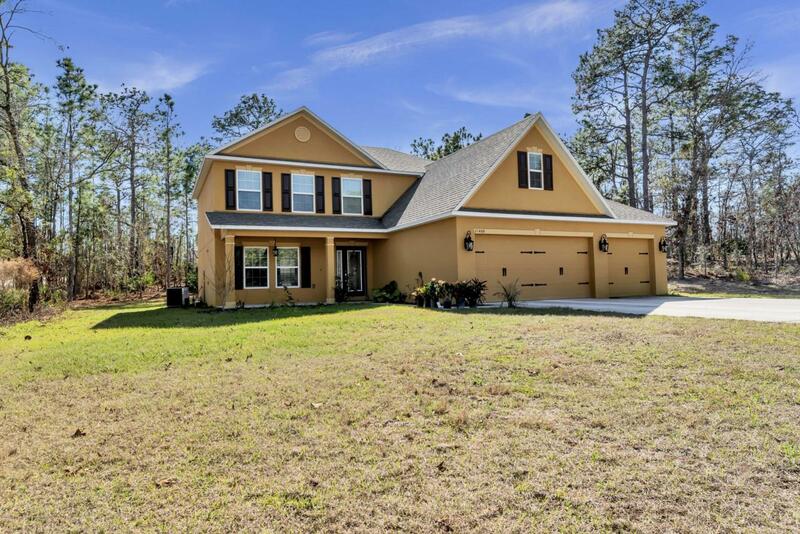 2nd Level includes Master Bedroom Suite with multiple walk-in closets, trey ceiling, dual sinks and walk-in shower plus 3 additional spacious bedrooms and 3rd full bath. Bonus features include designer lighting & upgraded fixtures, open rear patio, lots of storage and lots of charm!